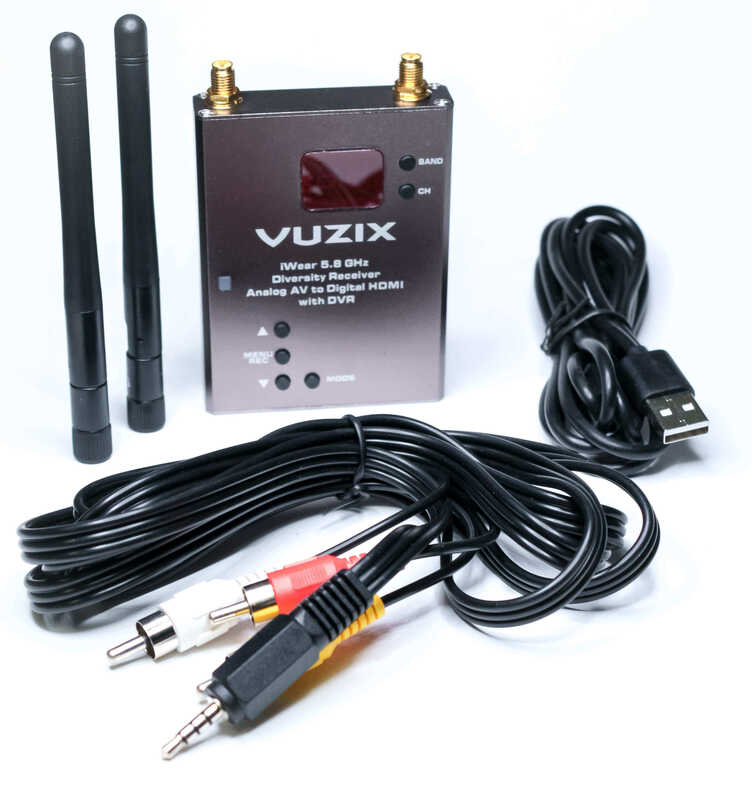 The Vuzix 5.8 GHz Diversity FPV Receiver gives you high performance reception from existing 5.8 GHz video transmitters. The receiver converts audio and video to HDMI output for use with the high-performance Vuzix iWear® Video Headphones. The diversity receiver has two highly sensitive 5.8 GHz antennas that automatically choose the strongest signal, giving you the best performance. This allows for a mix of antennas to be used, such as a long range high gain directional antenna paired with a short range 360 degree omni antenna.